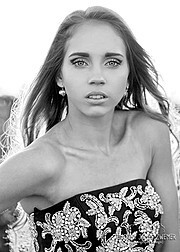 Teagan Jade is a contracted model with Elite Avenue Mackay. She is located in Yeppoon just outside of Rockhampton. She has been on the cover of Lita magazine (coffee table), issue 3, the fashion issue. Always looking to improve and further her knowledge and experience in the modelling industry. She can travel and is available for fashion and print projects.